Everyone knows by now that I loved roasted veggies. This is just a basic recipe, so feel free to jazz it up with freshly chopped herbs after cooking. I’m a bit of a purist, so I stick with olive oil, sea salt and freshly ground black pepper. Try to find carrots about the same size to ensure even cooking, or cut them that way. Baby carrots also work in this recipe. Preheat oven to 450 (* 425 for larger carrots). 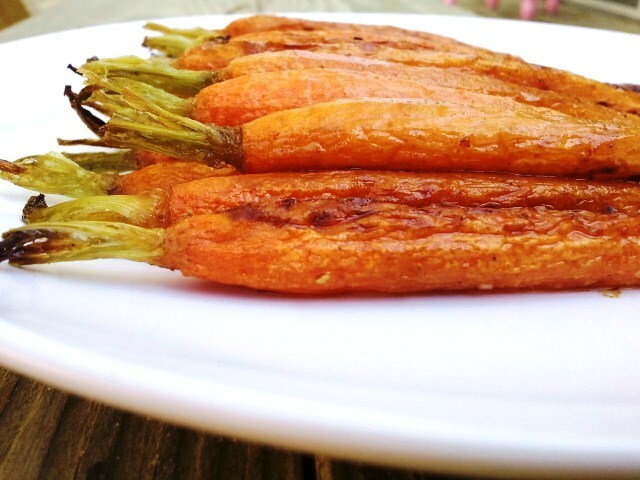 Coat carrots in olive oil and season well with salt and pepper. Roast for 15-20 minutes, until they start to caramelize and are cooked thru. Place on serving dish and serve.